This entry was posted on March 13, 2013 at 1:38 am and is filed under Uncategorized. You can follow any responses to this entry through the RSS 2.0 feed. You can leave a response, or trackback from your own site. In two weeks, my husband and I are leaving for our fourth trip to Ethiopia with McPherson College students and others. We are carrying educational supplies and books for teachers. They have no books for children in the schools we visit. How can children learn without them? Education is a powerful tool. 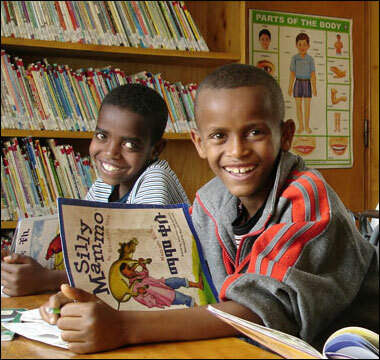 If you want to help, Books for Life is a wonderful way to get these young people started. Your gift will make a difference!